Are you a programmer? Want to build your own code or want to edit source code of the program. Here you go, In this article we have listed the best text editor for coding, Paid & free code editors available on Windows, Mac and Linux as of 2018. Text editors are one of the most useful tools we have when we work with development-related things. Thanks to them, we can access the code and carry out adjustments or improvements in its content. Nowadays, there are many code editors we can choose to work with. 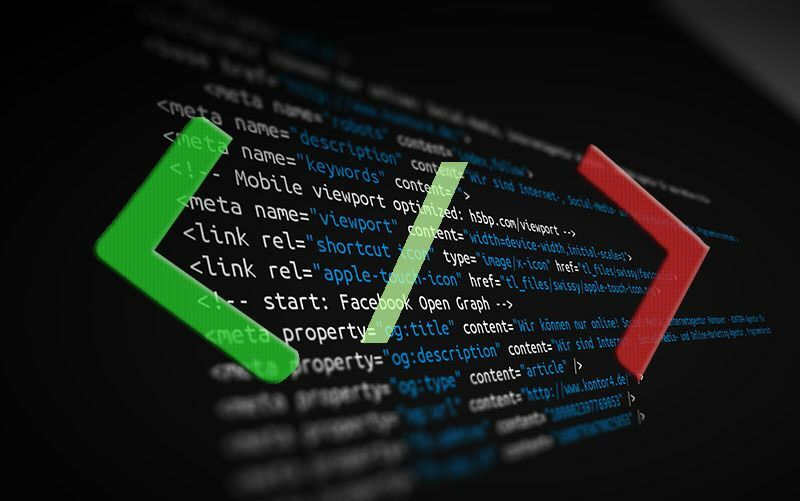 But if you’re planning to work with code editors, you should be aware – there is a difference between plain code editors and IDEs. IDE (Integrated Development Environment) is a type of development software which provides the ability to do everything you need in one place. For example, you can write code and debug it with a compiler using the same program. IDEs also have various automation tools, support multiple programming languages, and have an extended box functionality. However, the difference between IDEs and code editors is insignificant now, thanks to the various extensions that IDEs provide, which often surpass the functionality of the classic code editors. Choosing an IDE can be a complicated task when we are starting in the world of programming, and, of course, IDEs are best used in large projects, especially when developing or maintaining several programs simultaneously. Today, TechinDroid brings some of the best code editors for the most used operating systems today: Windows, Mac OS, and Linux. One of the most used code editors, Its the best code editor for mac, windows and Linux. thanks to its features and simplicity, is Atom code editor. Atom is a text editor that is both modern and accessible. It can be customized to do any kind of task, and it can also be productively used without touching the configuration files, which may simplify tasks for the final user. It is multiplatform, it works on Mac OS X, Windows and Linux operating systems. Includes a built-in package manager, which allows us to find and install new packages or create your own packages. Smart Autocomplete. This feature helps you write code faster with an intelligent and flexible autocomplete system. The ability to create multiple panels and thus compare and edit the code between files. A “find and replace” function, which allows us to search, preview and replace text as you write to a file or to all active projects. Atom comes preloaded with four UI and eight syntax themes, both in dark and clear colors. Available for Mac OS X, Windows, Linux. Brackets is a lightweight text editor, but with powerful modern features. Brackets is an application that allows us to combine the visual tools in the editor to get great help when we want to make this a unique experience. Includes online publishers. Brackets allows us to open a window in the code we are working on. There, we will put the mouse cursor on an ID, use the combination Command (for MacOS) or Ctrl + E (In the case of Windows), and Brackets will show all CSS selectors with that ID in an online window to work in the code without any popup. Preview live with Brackets will allow us to obtain a real-time connection to the browser to make changes to CSS and HTML, and also allow us to instantly see the changes on the screen. Pre-processing support. Thanks to this support, we can Quick Edit and Highlight real-time changes with LESS and SCSS files, that makes working with them easier than ever. It includes several extensions like Emmet, Beautify, File Icons, Indent Guides, Git, Autoprefixer and more. It is a multiplatform collaborative code editor. It has IntelliSense technology which provides intelligent terminations, based on variable types, function, definitions and imported modules. You can run debugging code from the editor, initiate or attach your running applications, and debug with breakpoints, call stack and an interactive console. It incorporates Git commands, which allow us to review diffs, the stage of our files, and make commitments directly from the publisher. It is highly extensible and customizable since it has numerous extensions to add new languages, themes, debuggers and to connect to additional services. Available for Windows, Linux, and MacOS. Its one of the best code editor for windows. 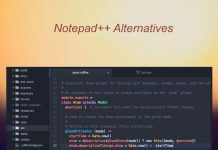 Undoubtedly, one of the most dynamic code editors is Notepad++, which is also positioning itself as one of the most versatile for its various functions and features. Notepad++ is a free source code editor that replaces Notepad and supports multiple programming languages. We can run it on Windows environments under the GPL license. Its design is based on the powerful Scintilla editing component, and Notepad++ is written in C++ using Win32 API and STL, ensuring greater execution speed and smaller program size. See also: Notepad++ Alternatives for Mac. This editor has a number of features that place it as one of the most versatile editors in the market nowadays. Featuring text editing, UltraEdit make lists and columns editing a rewarding experience for the average developer and having functions such as multi-carpet editing, column editing, blocks and multiple choices, UltraEdit can be considered as one of the best editors, something noteworthy if you have to choose between one of them. It has a free code editor version – the full version can be acquired for just $99. Syntax highlighting for almost any coding language. This is another code text editor that offers a free version and a $70 payment for the full version. It has hundreds of special functions for all code editing tasks. Sublime Text uses a custom toolkit for personalization of the user interface, optimized for speed and efficiency, and enhancing the native functionality on each platform. The JetBrains IDE provides an excellent user experience throughout the development process. WebStorm has a trial period of 30 days and its full version is priced at $129. It is ideal for application development based on JS and for those who want to work with an IDE application. We have seen the various options for editing code available for use in any of the current operating systems. Each one of them offers different features, advantages, and perks that will be useful in code editing and management.